⬅ It Was A Hard Day. It’s Thanksgiving weekend in the US and I am doing what most every American is doing- eating good food and spending time with family. As I’ve spent the past 2 days doing this, I’ve reflected, really for the first time in-depth, how truly thankful I am! It was early in the morning, a few days ago, and I was sitting in the quiet, sipping coffee, reading and thinking. As I did, I scanned my house. The thought occurred to me- “I’m so thankful for this!” Not the house alone, or the material possessions within it, but rather, all that it meant, all of the memories our family has shared over 7 years, and all that was to come. I looked at the shelves on either side of the fireplace, adorned with keepsakes, pictures of the people I love the most, books and trinkets. From there my scan took me to our sunroom where a 9ft Christmas tree (yes, it’s true) was already glowing. In just a few short weeks, there would be screaming children flooding into that room ready to destroy the neatly placed presents beneath the tree. I moved from there to our kitchen. In my mind, I could see my loving wife preparing amazing meals for our family, helping our daughter with homework, or talking to a welcomed guest. I reflected on deep conversations that have taken place there over the years. A wife who embodies grace. I have always been as painfully transparent as I can be on this blog about the trials and tribulations, celebrations and joys, of marriage, particularly ours. If there was a voting system set up, back in the day, when we first got together, we would have been voted least likely to succeed. But we’ve overcome and it’s only been by grace. I would attribute it mostly to the grace of my wife. She embodies it. The fact that she’s put up with me- a starry-eyed dreamer, thinker, frustrater, and annoyer with a severe older brother complex, is beyond what I can comprehend. But I am so deeply thankful for her. She has kept me grounded and focused (not easy to do with a person who’s mind never shuts off). She has forgiven and forgotten. I am eternally grateful for her. I am humbled every time I hear one of my kids say “I love you daddy!” Truth is, I do not deserve that. I love my kids so much that I would bleed myself dry for any of them on any day of the week. But I have also made so many mistakes with them. I’ve lost my temper when I should have kept my cool. I’ve been belligerent and short with them over petty things. I’ve been too harsh when all they needed was a gentle correction. But they love me regardless. Wow…so thankful! Co-workers and laborers who believe in achieving greatness. I am so thankful for the team I lead (the Family Life Team at East 91st Street Christian Church) and the leadership team I get to participate in leading on (the Vision Leadership Team at East 91st Street Christian Church). These people are my friends, my family, and my co-laborers for Christ. They have challenged me and held me accountable. They have caused me to grow in more ways than I can even begin to count. They are some of the greatest people on the planet and I am grateful for each one of them. The opportunity to reach people with this blog. I started this blog with a dream to reach parents with hope and humor. In fact, the tag line says, “Hope and Humor from the Trenches.” I mean that. It’s hard to be a parent. The days where you feel like giving up far outweigh the days where you feel successful (wouldn’t you agree?). I don’t care if I ever make a dime off of this site. 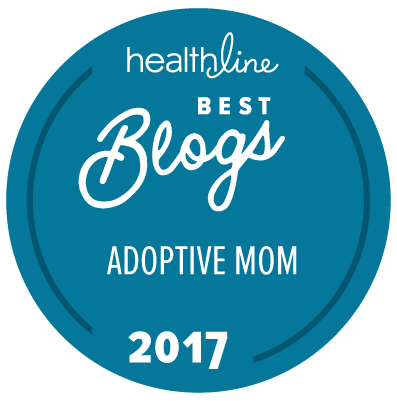 The most fulfilling thing to me is that people are finding hope through the stories and real-life issues that are expressed on this blog. This month, over 12,000 first-time visitors checked Confessions out. They have ranged from the US, to Great Britain, to China, to Australia, to Canada and the Netherlands. I’m overwhelmed and humbled. What began as a dream is beginning to span the globe and we’re just getting started. I’m mostly thankful for the notes that say, “Thank you for being real,” or “Thank you for that post, it came at the right time.” I can’t take any credit. All I can do is point to a Creator Who makes all things possible! Friends who speak truth, or raise a glass with me, or hold me accountable, or all of the above. I have been blessed with some of the greatest friends a man could ask for. The ways in which our lives have collided with one another’s is best kept for another post at another time because it’s so detailed and fascinating. I love my friends because they will speak truth, grab a drink with me on a bad day and listen to my heart, hold me accountable to the things I believe in, or all of the above, any day of the week. They are the real deal. I love them dearly and I would give my life for them! There’s so much to be thankful for on this Thanksgiving weekend! Truth is, I shouldn’t wait until this weekend rolls around to express my gratitude. It needs to be all year long. For now: Happy Thanksgiving to you and yours! Question: What are you thankful for? You can leave a comment by clicking here.